Reviews of the Panasonic Lumix DC-TZ90 from around the web. The Lumix ZS70 / TZ90 boasts enough control to satisfy a broad range of users, and performs well across both stills and video recording. It’s not quite a great camera, but if you’re happy to accept a handful of shortcomings you’ll find it to be a very good one. Wouldn’t it be nice if you could buy just one camera and have it tick all possible photographic boxes, and rise to all tasks? Sadly, if such a perfect snapper exists, we’ve yet to find it, but it’s certainly possible to pick out a picture-taker that can fulfil a range of roles – and the Panasonic TZ90 is one such flexible friend. With phone cameras getting so good these days, the traditional camera needs all the stand-out specification goods possible. When pocketable convenience from your mobile handset isn't enough, and you want a boost of proper optical zoom to shoot far-away subjects, then there's no other logical option but to look to a dedicated camera. 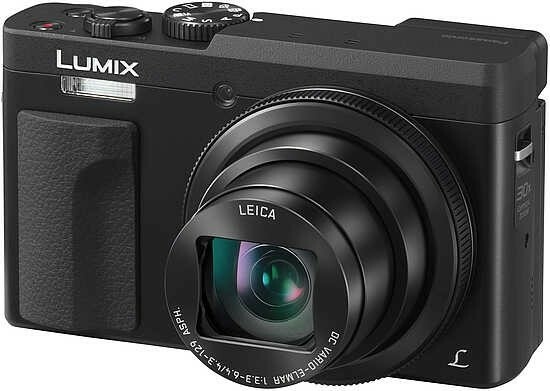 A camera just like the Panasonic Lumix TZ90 (or ZS70 in US-speak).